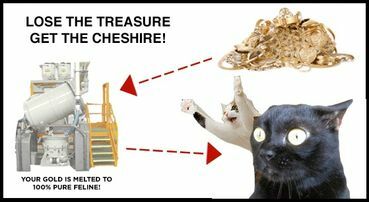 Cats for Gold is not real, no matter how much we wish it was. It jokingly asks you to mail in your gold and receive cats. The tagline is "Lose the treasure. Get the Cheshire." Genius.